Invisalign has grown in popularity among children and adults of all ages because it delivers a range of benefits that are not available through traditional metal braces treatments. To illustrate, consider that metal braces require brackets and metal wiring to be permanently affixed to the teeth of the patient for the duration of the procedure. This greatly complicates the task of brushing and flossing to remove food particles from the teeth, which leads to the buildup of plaque and the formation of tooth decay. Moreover, many individuals find metal brackets and wiring to be unsightly, making patients with traditional braces feel embarrassed or ashamed with their orthodontic devices. Invisalign excels where metal braces fall short. Invisalign ailigners are completely removable which allows patients to eat, brush, and floss as if they were not wearing braces at all. Patients can more easily care for their teeth and gums as well, which decreases the rate at which Invisalign patients experience tooth decay and gum disease. Best of all, Invisalign is clear and nearly invisible when worn! This is perhaps the greatest advantage of all. Patients love wearing an orthodontic device that is discrete yet effective, and they enjoy being able to create a beautiful smile without the embarrassment of metal brackets and wiring. 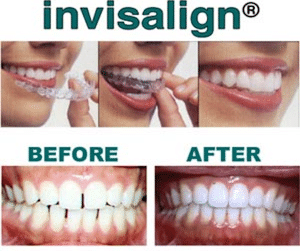 Miami Dentist Compares Invisalign vs. Metal Braces: You’ve decided to take a step towards creating a beautiful and healthy new smile. What’s next? Join the Miami Dentist Blog for this comparison of Invisalign and traditional metal braces. Discover the pros and cons of each treatment, and prepare yourself to make a decision between the two. Invisalign Clear Braces 101: Like a 101 class in college, this article covers all the basics of Invisalign. Learn more about how Invisalign creates a truly beautiful smile through the use of clear, removable aligners. Bringing Teeth Closer Together with Invisalign: Spaced teeth are common among children and adults alike. Visit this article to read how Invisalign helps to bring teeth closer to one another, creating a picturesque smile you will want to flash again and again. Dentists in Miami: Minimally Invasive Technologies: Miami is truly the “Gateway to the Americas,” and we see it in the cultural diversity of the city. This diversity brings leading medical professionals, researchers, and technologies right to our front door. Join the Miami Dentist Blog for this exclusive look at leading dental technologies, including Invisalign, that are now available at Assure a Smile! Assure a Smile is fully committed to helping Miami and South Florida residents create beautiful, healthy smiles with which they are confident and proud. Our practice understands that orthodontic treatments can greatly improve health, and we strive to make these treatments available at the best possible value. Assure a Smile offers a new Invisalign Invisible Braces promotion every few months, and we encourage readers to Follow Dentist305 on Twitter to keep up with current promotions and news! Our most recent Invisalign promotion has just come to an end, and we are excited to welcome so many new smiling patients to our practice. Stay tuned for our next Invisalign promotion, set to begin some time before the Winter holiday season! Does Invisalign Make Your Teeth Stronger? Nothing says confidence quite like a bright, engaging smile. 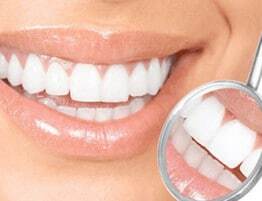 But with crooked or misaligned teeth, you may feel hesitant to showcase your pearly whites. In the past, dental professionals relied on uncomfortable and obvious metal braces to straighten their patients’ teeth. Now, we have the technology to align teeth comfortably and discreetly through the use of Invisalign®, the invisible braces system that has created more than 1 million beautiful smiles worldwide! A beautiful smile creates self-confidence that will propel you through some of life’s biggest moments—and no one knows big moments like your teenager. From yearbook photos to graduation ceremonies, teenagers face a whirlwind of events that pass quickly and create memories that will last a lifetime. Assure a Smile now offers Invisalign Teen, the first orthodontic treatment designed just for young adults who want to tackle life’s greatest milestones with confidence and enthusiasm.